Towards the end of the 20 minute video I made for K12 Online, Teaching Kids To Think Using Scratch, I very briefly mentioned two other things that I would have liked to say more about but simply didn’t have enough time in the time allowed. The first thing was the use of Scratch on the iPad and the iPhone. I mentioned that there was a Scratch iOS app, but didn’t have time to elaborate. Since then, a few people contacted me about this app and wanted to know more, telling me that the couldn’t find it in the Apple App Store. The reason you can’t find it is unfortunately quite simple… it’s been removed from the App Store and is no longer available so unless you got a copy of it prior to it being removed, you’re out of luck I’m afraid. 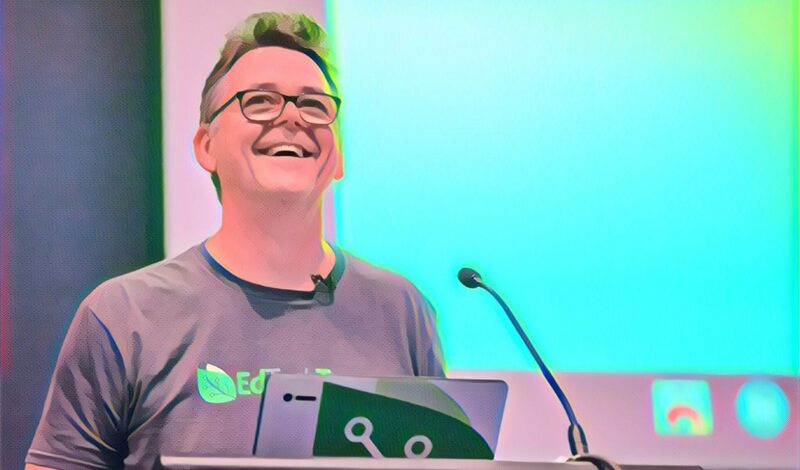 So if you missed out, sorry… but if it’s any consolation, the Scratch app only allowed you to browse the Scratch website and then execute existing Scratch projects. You couldn’t actually manipulate code or use it as a tool for creating programs, so all those schools implementing iPad programs and getting all excited about the possibility of doing Scratch on the iPads… sorry, it was never a possibility anyway. But the main thing I wanted to follow up on was the PicoBoards. I was put onto the PicoBoards by my buddy Martin Levins, and they are proving to be a fabulous extension to what you can do with Scratch. Essentially they are a circuit board with a bunch of sensors on them that you connect to your computer via USB so that Scratch can directly address the sensors on the board. With a rheostat (voltage slider), microphone, light sensor, button, and four resistance circuits, the Picoboards open up all sorts of possibilities for creating software based programs that interact directly with the real world. Anyway, blah, blah, blah… there’s lots more I could say about them, but just watch the video. And then go buy a few. Your kids will really like them. Trust me. I’ve been teaching Scratch to my students lately, and it’s made me remember just how much I enjoy dabbling with programming. I’m really not much of a code monkey, but I do enjoy writing programs, telling the computer what I want it to do, and then having that feeling of mastery when it actually does what I tell it to do! I heard a lot about Scratch before I actually started using it myself… people kept telling me how good it was, but for some reason I never really got around to trying it myself. When I finally did take a look at it, I couldn’t believe I waited so long to check it out! It’s a GREAT piece of software that all kids should spend some time learning how to use. I’d encourage you to NOT make the same mistake I did, and wait so long before looking at it. Over the past 20 years I’ve taught quite a lot of programming to children and without fail it’s something they get a real kick out of. They really seem to engage with the big ideas of programming – problem solving, thinking mathematically and using logic and reasoning. It’s the practical application of those ideas and the creative thinking required to solve authentic problems that forms the basis of a truly engaging learning experience. While I don’t believe that everyone necessarily needs to become a computer programmer, I do think that everyone would benefit from learning the basic skills and mental gymnastics required to write simple computer programs. I’ve found it to be an incredibly useful skill, and the underlying understanding it gives into computers and how they do what they do has come in really handy over the years. 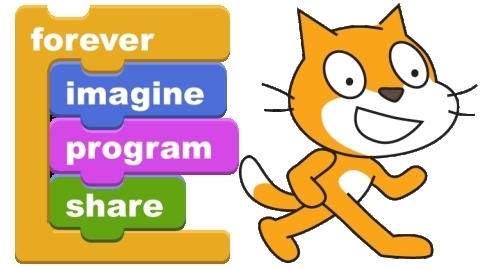 Scratch takes all of the essential programming constructs like sequencing, conditional branching, control structures, data manipulations, etc, and wraps them in a very friendly, very easy to use environment that even the youngest students can use with just a little knowledge. It’s quite intuitive to learn and you can do simple things fairly easily, yet there is really no limit as to how far you take it. Don’t be like me and hear about it but do nothing… download a copy now, give it to your kids and watch the magic happen. For this year’s K12 Online Conference I did a presentation about Scratch, called Teaching Kids To Think Using Scratch. It’s trying to squeeze a lot of stuff into a small space, since the presentations are capped at 20 minutes, but I think it’s a reasonable introduction to some of the key ideas behind Scratch. As you can see in the unscripted footage of the kids towards the end of the video, they talk about solving their own problems and figuring out how to work things out for themselves… to me this is what real learning should be all about. Watch the clip of the two girls working out what the variables should be in order to make the sprite move exactly the way they want, the engagement on their faces, and the expression of triumph when it finally works the way they want… as Lexie says, “Scratch brings out your inner awesomeness!” I think she’s right.